The Kennedy Arc Floor lamp is both modern and retro. 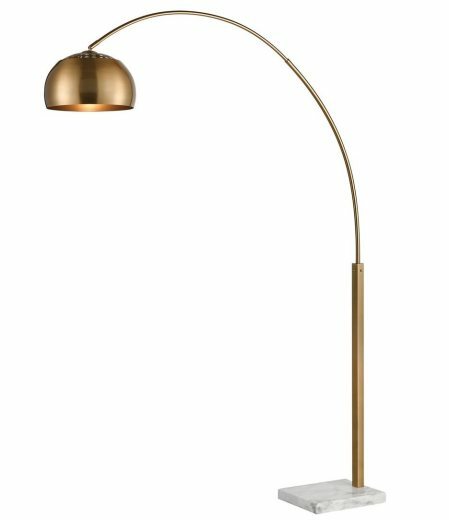 With a white marble base, the aged brass finish adds a mid-century modern look. Features one 60W bulb (not included).